Following on from our previous post about dairy milk and how healthy it is, we wanted to give you the low down on plant milks and the benefits they can give you. 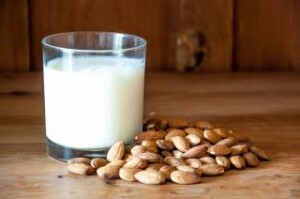 Almond milk – If you have ever wondered how anyone manages to ‘milk’ an almond you were probably left confused! Almond milk is made similar to coconut milk; squished up, peeled almond nuts mixed with water and left to soak, then strained. Some supermarket brands add sweeteners, thickeners and preservatives. If you want to have a go at making your own, more natural almond milk check out this neat video and use raw almonds for best results. Almond milk is a fab, low calorie dairy alternative over breakfast cereals and to use in creamy smoothies and cooking. The downside? Apart from the artificial bits and bobs which may be added, it’s not nearly as nutritious as you may imagine coming from such a healthy nut. I was disappointed to find out Almond milk hardly contains any protein or many other nutritional benefits. Rice milk – You may have tried the popular Rice drinks available now, they come in may forms and flavours and are a delicious creamy treat of you like that kind of thing. Standard rice milk though is pretty bland and low in fat but can easily be used as alternative to dairy. 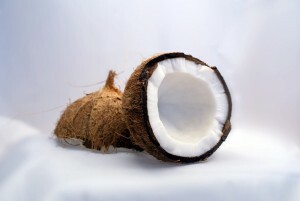 It doesn’t contain as much calcium or protein as cow’s milk, but it does contain more carbs, and is often fortified with various vitamins and minerals such as calcium, vitamin D and iron. There are many different brands of rice milk available, many will be sweetened to improve the taste. Oat milk – This milk is another one that can be made easily and inexpensively at home. 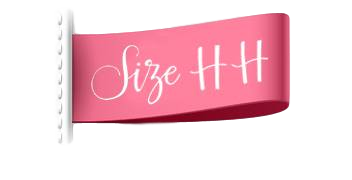 It is naturally free from saturated fat and cholesterol as well as being high in fibre so it’s a fab choice for people looking to lose weight healthily. Shop bought oat milk has a subtle creamy taste so ideal for cooking with and using as a base for white sauces, or just to enjoy as a nutritious drink. If you choose to make your own, you can adapt the flavour and texture to how you like it. Soy milk – The most protein rich of all plant milks and lactose free, soy milk can make a great alternative to dairy for some people. However, There is a lot of debate about whether soy milk is good for you or detrimental to women’s health. I’m not going to go into the fine details because it could possibly do with its own post, but if you enjoy soy milk or interested in it, I would personally go with organic, unsweetened soy milk. It is the genetically modified soy beans that are causing the controversy and because many people have a soy allergy. If you don’t eat many soy products everyday such as tofu etc then a little organic soy milk should be a benefit to the female body. It comes down to you and how you feel and consuming things in moderation with a healthy, balanced diet! There are plenty of great plant milks out there to choose from if soy doesn’t float your boat. Hemp milk – Another not so common milk and made from natural seed and water, hemp milk is absolutely packed with essential omega 3 & 6 goodness (our bodies can’t produce and must take from food) and naturally free from cholesterol and sugar. It is generally easily digestible and promotes healthy skin, hair, nails and immune system. 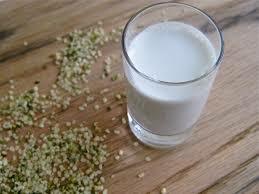 Hemp milk can be purchased in many flavours such as vanilla, chocolate, or plain and used just as widely as dairy, in tea and coffee, over cereal and in cooking/baking. The taste is different to dairy of course but still creamy and who knows, you may even find you like it better. Organic varieties also available. So there we have it, our top plant milks! In part 3 of our ‘Milking It’ blog series, we will be looking at goat and sheep’s milk compared to cows milk. What is your favourite kind of milk? Let us know what and why in the comments below!